6pm CE - The Institution of Engineering and Technology free to attend evening event. EngTalk speaker Prof Eleanor Stride, Oxford University will assess the challenges faced when trying to answer the question why haven't we cured cancer yet?" N - 2pm - The Old Church Our regular monthly community OPEN:Art sessions for all - a chance to get creative in our beautiful, inspiring space. In May - come and join us for an afternoon of print making. This is a chance to try a range of techniques such as relief printing, stencilling and block printing. Experiment with shapes, patterns, drawings and compositions, then use your new skills to design your very own printed t-shirt, canvas bag, notebook etc. 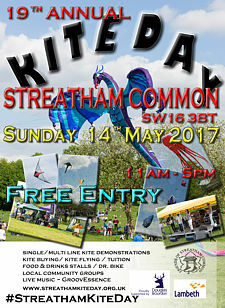 11am SW - Streatham Common Kite Day 2017 Streatham's popular kite festival is back. See astounding expert kite displays in the arena. Bring your own kite to fly, or buy one at the pop-up shop. With a bar, delicious food, stalls and plenty of room for picnics, it's the ideal family day out! 12 noon W - SI-UK London Interested in studying in the UK? Then the SI-UK University Fair London is for you! Simply register for free at the SI-UK University Fair website and we will see you there! 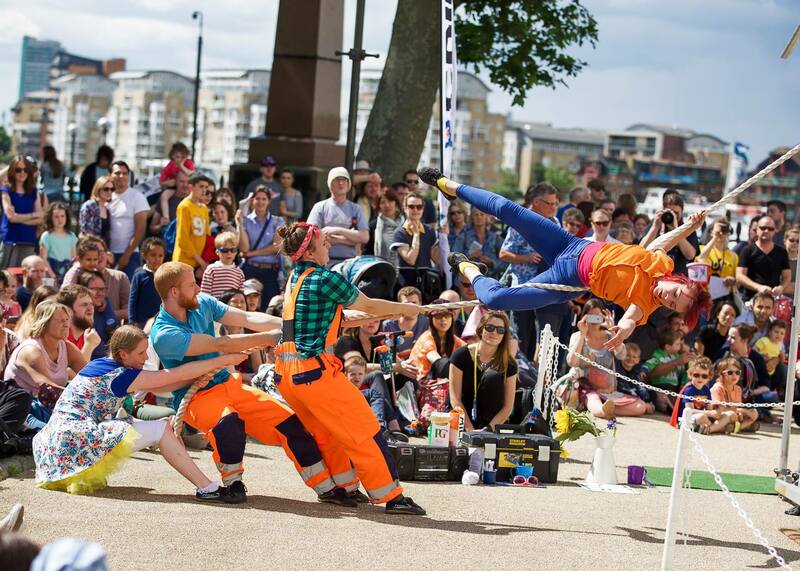 12 noon SW - HIDDEN HEATHBROOK is the best kept secret of WANDSWORTH ARTS FRINGE, hosting two days of exciting outdoor art : theatre, circus, music, puppetry and art! Be amazed by stunning live performance, explore our interactive workshops and spend an unforgettable weekend with the whole family. And the best thing: It's completely free! 12noon E - German Village and Bierfest. This Event will have a wonderful Biergarden where you can have a good time with family and friends and when the Sun Goes down the party can begin in the Bavarian Fest tent. Beer, German Music, Dance and fun is some of the keywords for this event.